In total there are 1702 members, thats 1043 pictures, 41 videos and 31319 forum posts! Welcome to Modified Enthusiasts. This is a car club by enthusiasts for enthusiasts who take pride into the performance and, or styling of their cars. Sound like you? then why not join the modified car club today. The Modified Enthusiasts Guide, is full of information and tips, regarding applying modifications to your vehicle. Our car guides cover most common car modifications, from engine mods to interiors and bodywork. The Modified Enthusiasts Features section includes all the clubs best modified cars. So if your into performance Japanese cars to extreme european styling, you will find them all in our club feature section. The Modified Enthusiasts Review section includes all the information you would ever need to know, if your thinking of buying a car. 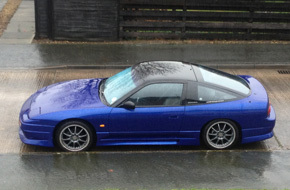 All makes and models covered, and even find owners to share styling and tuning advice. 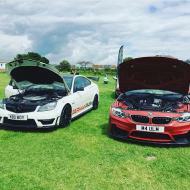 Modified Enthusiasts is a great place to meet like minded members, its all about the performance and modified cars in this car club, we are not car specific. So why not join today and become a part of the car club community. Become an upgraded member to benefit from all of the Modified-Enthusiasts club discounts. We have a range of discounts available from car insurance to car parts we've got it covered. Its our way of giving back to our members. To advertise with the Modified Enthusiasts car club please click here. Why Modified Enthusiasts? Be cause we love our performance and modified cars to an obsessive level. We chat in our car forums about them, show of our modified car pictures in our car gallery, submit modified car videos to our footage gallery. You can rate our modified feature cars and even submit your own car to be a feature. View the Modified Enthusiasts car guides, for tips and advice regarding modifying and tuning your car. 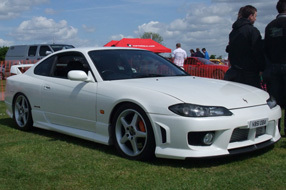 For information about modified cars and car insurance. Read our guide to find out more.